Trenton and Lindsay Cochran are best friends, brother and sister, support and inspiration. 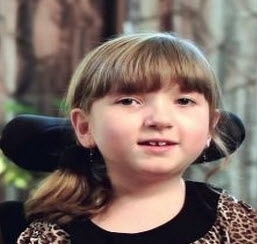 10-year old Lindsay, who suffers from Spinal Muscular Atrophy, has been in a wheelchair since she was 2. Trenton understands deeply that his life would have been very different if he didn't have a disabled younger sister. Not only is this mature 12-year old a helper and protector, he is an advocate and ambassador for kids with disabilities. "I would take a bullet for her," he says, as his grateful sister looks on. Warning: you might want to have some tissues on hand for this beautiful video.